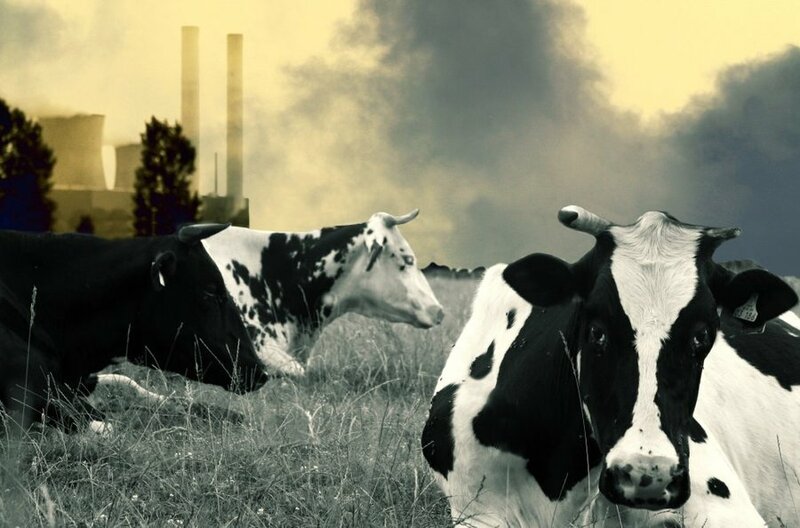 Coalition to ask EPA to Regulate Air Pollution from Factory Farms! A coalition is petitioning the Environmental Protection Agency to list emissions from CAFOs (Concentrated Animal Feeding Operations aka Factory Farms) under the Clean Air Act such that steps can be taken to begin regulating CAFOs. The organizations include: Humane Society of the United States, Association of Irritated Residents, Center on Race Poverty and the Environment, Clean Air Task Force, Dairy Education Alliance, El Comité para el Bienestar de Earlimart, Environmental Integrity Project, Friends of the Earth and Waterkeeper Alliance. The 69-page petition provides detailed scientific and legal information about the significant emissions of methane and nitrous oxide—two greenhouse gases—as well as hydrogen sulfide and ammonia from factory farms, and how all of these pollutants have been shown to have negative effects on human health and welfare, including adverse effects on climate and the environment in the United States. update: Please join the campaign! Bill S. 527 gives a free pass for factory farms to pollute the air with CO2, methane, and nitrous oxide without regulation! Farm Sanctuary has setup a form to write to your representative in Congress to vote NO on S. 527. Please take a few minutes to voice your opposition to S. 527 to your network and Congressional representatives! CERTAIN EMISSIONS FROM AGRICULTURAL PRODUCTION- No permit shall be issued under a permit program under this title for any carbon dioxide, nitrogen oxide, water vapor, or methane emissions resulting from biological processes associated with livestock production. Please oppose Bill S. 527, which exempts livestock production from the Clean Air Act! According to a 2006 UN FAO report – 18% of the world’s greenhouse gas emissions are due to livestock. This is more than the emissions from all the cars and planes in the world combined! As global meat consumption is predicted to double by 2050, we must take significant measures to minimize livestock production, and its impact. In addition – the UN FAO report states animal agriculture is responsible for 37% of anthropogenic methane emissions (20 times more powerful than CO2) and 65% of all nitrous oxide (296 times). In light of the rising dangers of global climate change, the expansion of factory farming must not be left unregulated. These farms should be expected to INVEST in better farming practices that reduce greenhouse gas emissions, like every other industrial sector. Have you heard that cow farts are causing global warming? Actually, most of the methane emissions from cows and other livestock aren’t from flatulence or farts. They’re from burping. About 98 per cent of the methane from a cow is emitted through its mouth. (source: Kebreab, Journal of Animal Science. In fact, the average grain-fed dairy cow belches out about 500 litres of methane each day, compared to about 600-700 litres a day per grass-fed cow, due to their unique enteric fermentation digestive process. (source: Ermias Kebreab of the National Centre for Livestock and the Environment). In total, livestock’s total gas emissions include 37% of all methane (20 times more powerful than CO2) and 65% of all nitrous oxide (296 times). Yes it’s much funnier to talk about farting than burping/belching. It certainly raises more eyebrows, which explains why many of the headlines on cattle methane go for the “farting to blame for global warming” angle instead, despite its inaccuracy. The answers to the commonly asked questions below will help dispel the inevitable joke/comment on our gassy footprint. How many livestock are there? In 2007, at any given time, there were approximately 1.3 billion cattle, 1 billion sheep, 1 billion pigs, 800 million goats and 17 billion chicken (UN FAO). This means – one cattle for every five people, one sheep for every six, one goat for every eight, and 2.5 chickens for every person. How much do livestock eat? Do they poop a lot? Animals raised for food produce 1.4 billion metric tons of manure, which is 130 times more excrement than the entire human population put together, for a total of 87,000 pounds per second. When one looks at the number of animals which are eaten, and the amount of crops and energy that are required to feed them, it becomes increasingly clear that we must define the problem as rising meat consumption, not the cows themselves. According to the UN FAO, annual global meat production is projected to more than double from 229 million tons in 2000 to 465 million tons in 2050. It’s important to understand that methane emissions from livestock are only one part of the “meat footprint”. The emissions from the meat production process includes many other steps which generates high levels CO2. Some of the ways which the animal agriculture industry generates its CO2 emissions include: the clearing forests for cattle grazing or planting feed (Brazilian Amazon especially), slaughtering livestock in factories, and transporting, storing and packaging the meat. So please don’t let anyone keep you from holding in farts (it’s bad for you) or keep you from enjoying beans. Correction: A previous version cited that the average dairy cow belches out about 100 to 200 liters of methane each day, according to Michael Abberton, a scientist at the UK-based Institute of Grassland and Environmental Research. Guess you can average it out. But whether it’s farting or burping, it’s given plenty of ammunition for global warming skeptics to make light of global warming, and the research & policies that are proposed to address animal agriculture’s impact. If you read the comments from articles about the impact of meat on global warming, it’s likely you’ll encounter arguments against vegetarianism, especially if the word “vegetarian” or “vegan” is in the title. People who are Vegetarians do so voluntarily. No one forces them to eat meat, or give up their chosen diets no matter how unnatural they are. Why, then, must they try to force the rest of us to live their chosen lifestyle? Surely, they must realize that they are in the vast minority and eventually there will be a backlash against them & their totalitarian methods by the silent majority? They & the weak-willed politicians that give in to them, had better be careful of just how far they push us. But you’ll also encounter gems like this one.. I was at the lecture. Dr Pachauri spoke in a personal capacity only and as a previous (omnivore). His figures come from transparent, international organisations and they are clear. If we took 1 meat free day each per week it would reduce CO2 emissions = 5 MILLION cars being taken off the road. The panel ALSO referred to subsidies of grain and welfare. If you want to carry on, selfishly and as usual feel free, but please go and discover another planet to ruin. I want to look after this one. As the last commenter shows, you don’t have to be a vegetarian or vegan to talk about it – or to blog or twitter excessively about it. I’ll admit it. I’m not 100% vegetarian. I’m currently maybe 90% vegetarian (I eat a little seafood, and eat a little dairy). Some might suggest this makes me a hypocrite, and might argue that advocating for a more meat-less diet must mean that I must also have a 100% meat-less diet. In my opinion, a small reduction in meat consumption (especially beef) from a lot of people is a relatively affordable and easy thing to do. Compare it to the efficiency and ease of green options such as biking to work or school, buying a Prius or installing solar panels (which are all great ideas). Eating lower on the food chain is the simplest and most “bang for your buck” green thing to do. But the question of whether one should be 100% vegetarian or vegan is something to be answered with time… as it requires more effort, discipline, and practice. If you don’t think you can be vegetarian for one day, why not try out the model of NY Times Food Writer, Mark Bittman, who is vegan until 6pm. Perhaps we all just need more frequent reminders that global warming is an imminent danger and very real. Afterall, it is why I blog about it and how I contribute to fighting it. 10 shocking statistics on meat and global warming. 8. Animals raised for food produce 1.4 billion metric tons of manure, which is 130 times more excrement than the entire human population put together, for a total of 87,000 pounds per second. 9. 70 – 80% of deforested land in the Brazilian Amazon rainforest is occupied by farmers who use the land for livestock feed and grazing. The rainforests are a natural defense against global warming, by converting CO2 into oxygen. Brazil is the world’s 4th largest climate polluter, as 75% of greenhouse gas emissions are from deforestation (source: Mato Grosso, Greenpeace Brazil, video). 10. 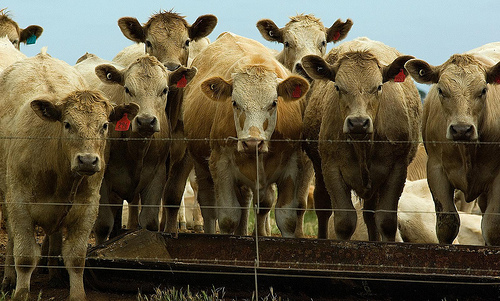 The impact of livestock on global warming is rapidly increasing. Annual global meat production is projected to more than double from 229 million tons in 2000 to 465 million tons in 2050 (source: UN Food and Agriculture Organization).